If you ride dirt bikes you most likely have gotten a GoPro in the last couple of years. They’ve become popular for recording trips and you see them now on almost every racers helmet. There also popular with car enthusiasts, divers, skiers, and all sorts of action sports. Although in some sports the lens is less susceptible to breaking, with writing dirt bikes it was just a matter of time. 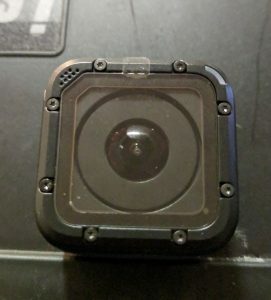 My old GoPro HERO had a plastic case that protected the camera lens. 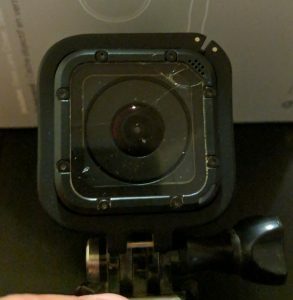 It was the original GoPro Hero and it came in a plastic shell that snapped around the actual camera. I never had a problem with my old GoPro with broken lenses. 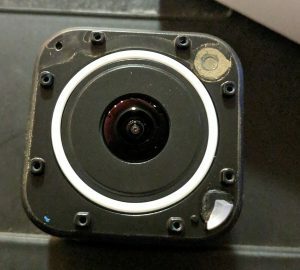 The old GoPro had a fisheye lens which tended to distort the video or pictures you were taking. The newest versions of GoPro Heroes have a flat lens covering to give a more realistic snapshot of the video. 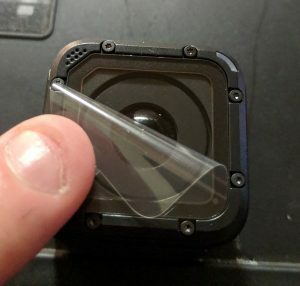 My new GoPro Hero Session has a flat glass lenses cover that protects the camera lens. This flat lens cover gives better video but unfortunately is more susceptible to being broken. During a race at the Lake Elsinore GP, my GoPro Hero Session was hit by a rock and cracked the front lens. 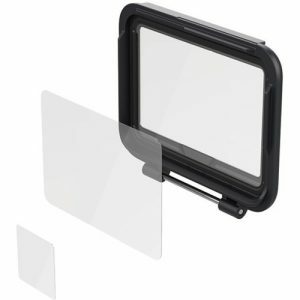 This outer lens is a protector for the actual camera held inside of it. 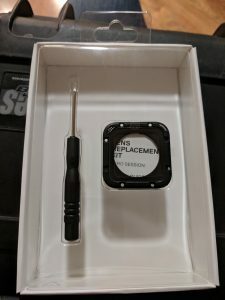 After my race, I came home and I found out that you can order an official GoPro replacement lens and replace the cover yourself with tools provided by the kit. The lens replacement kit came with everything I needed to replace the broken lens. Just like there are cheap cameras, there are also cheap GoPro lens replacement kits. It’s better to get an official GoPro Kit and know that you won’t have any problems with the lens sealing. The GoPro lens replacement kit includes one glass lens cover for the hero session, a new seal for the back of the glass, new Torx screws, and a small Torx screwdriver. To remove the broken lens on your GoPro, use the small Torx screwdriver included with the kit. There are eight small screws that need to be removed. They should come out pretty easily as they are only finger tight. Don’t worry if you lose any of these screws because new replacements come with the kit. After removing all the Torx screws, the lens should come off with very little force. 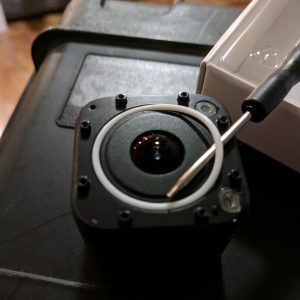 Underneath the lens, there is a white rubber O-ring that seals the camera lens from outside dust and water. You can see in the first picture that some amount of dust got underneath the lens but didn’t get past the O-ring. Clean up the dust underneath the lens before replacing it with the new one. Use the small Torx screwdriver that came with the lens replacement kit to gently pry off the old o-ring. The new replacement lens has a film cover on both the front and the back of the new lens. 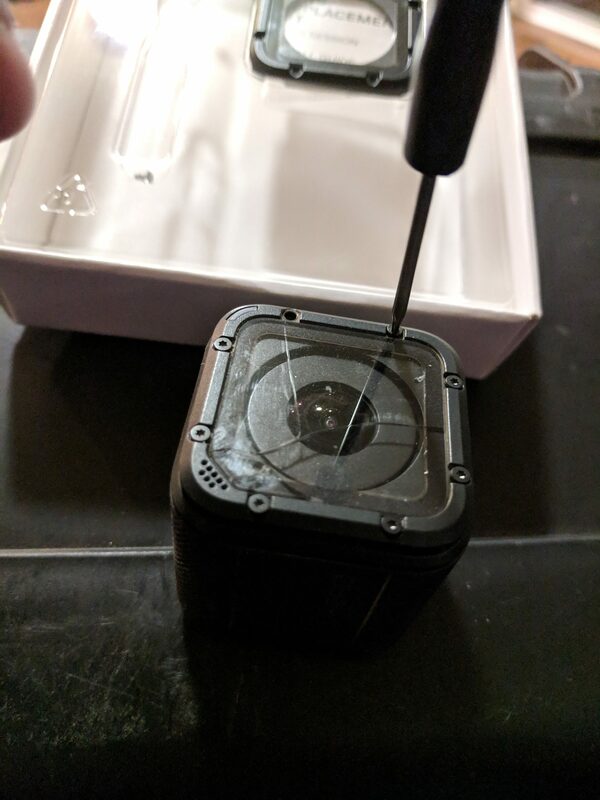 Make sure to remove the cover on the inside of the lens before installing. 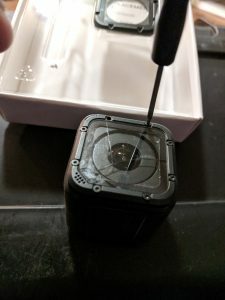 Insert the eight new screws and use the Torx screwdriver to finger tighten them down. Make sure they all go in evenly and that the lens is flush on the camera. 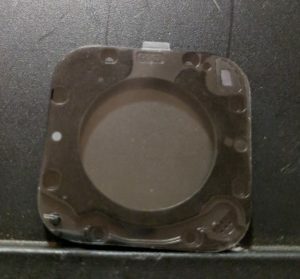 Pull off the outside lens cover and you are done! 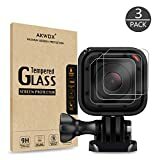 Although I haven’t used them myself, there are third-party companies that sell GoPro Hero tempered glass screen protectors. These protectors are a thin film that sticks onto the front of the GoPro lens. They are kinda like a cell phone cover where it’s just a thick glass covering that keeps the lens from being scratched. They can be useful if you ride in Rocky or Sandy conditions with your GoPro, but I haven’t tested if the cover distorts the video. GoPro hero is the name of their standard camera. Over the years GoPro has had many generations of the Hero camera. The latest iteration is the GoPro Hero 7. My original GoPro camera was bulky and hard to use. You had to navigate the camera’s menu through two pushbuttons on an LCD screen. My GoPro Hero Session has Wi-Fi capabilities and an app where you can see where the cameras pointed to on your phone. One of the common problems with setting up a go Pro is that you don’t know where the cameras pointed until after you’ve taken the video. Go Pro solve this by making an app where you can see real time, but on a delayed frame per second, what the cameras actually seeing. The new lens with its flat glass protector also gives a better picture. The old go Pro’s tend to give a fisheye lens where what’s in the center of the video is more realistic in the outer edges bent the frame. The flatter glass gives you a more realistic view but is more prone to being damaged. The camera can be put into modes, one where it takes a picture every five or so seconds. The other is straight video and you can choose the resolution. 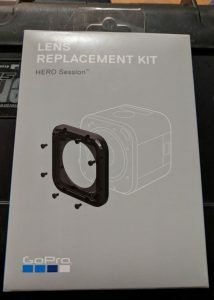 Although it’s rare that a rock will hit directly into your GoPro considering such a small size, it’s good to know that go Pro makes an official GoPro lens replacement kit. With their latest GoPro Hero cameras, it appears that GoPro is making their cameras easier to use and easier to repair. A current GoPro Hero Session is about the size of a large sugar cube, It’s come a long way from my original GoPro Hero which was the size of a beeper. GoPro is the original action camera manufacturer. Many other companies have come out with small action cameras. Sony, Garmin, Nikon, and Olympus make small action cameras. Since GoPro has been the first action camera, it has the advantage of first-mover status. Their design and software are above and beyond the other companies. The GoPro hero line will continue to grow and dominate the market.